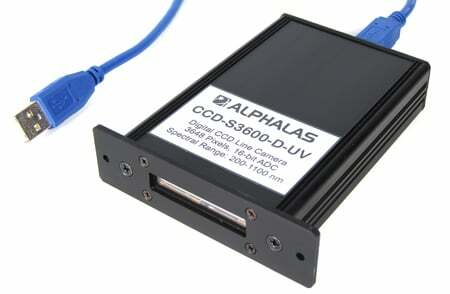 The ALPHALAS PICOPOWER™-LD Series of Picosecond Pulse Diode Lasers with Driver are generating short laser pulses with wavelengths ranging from 375 nm to 1550 nm as well as custom-specific wavelengths. Our picosecond pulse diode lasers deliver pulse durations below 40 ps and peak powers can exceed 3 W. Repetition rates range from single shot up to 80 MHz. 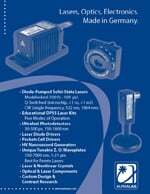 Our company offers you a wide range of products in the fields of lasers, optics and laser-related electronics - from complex laser systems to simple components. ... and many other interesting products! In contrast to many other companies we offer you more flexibility and customer specific product design at reasonable prices. Our products are based on 30 years of leading research and experience. Many of them feature unique parameters you will not find anywhere else on the market. For details on our products and competitive prices please contact us .